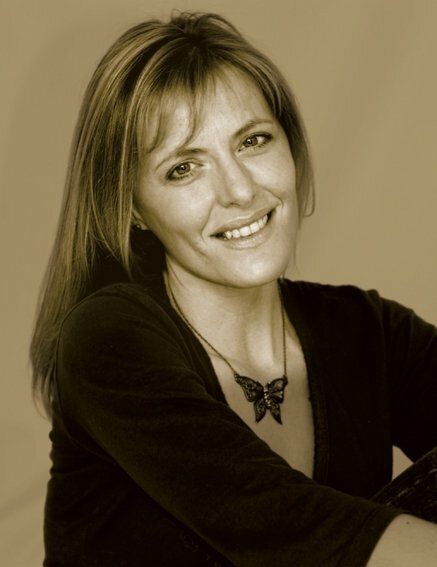 With roots based in the acoustic/folk tradition, Julie Hall is a trained violinist and singer whose first album Bluebells Rising was released in 2004. This received excellent reviews in the music press and gained nominations for the BBC sponsored GEM awards in two categories, best female artist and best single for 'Even an Angel'. A second album Days of Wine was released in 2006 and followed by Balcombe Bridge in 2009. 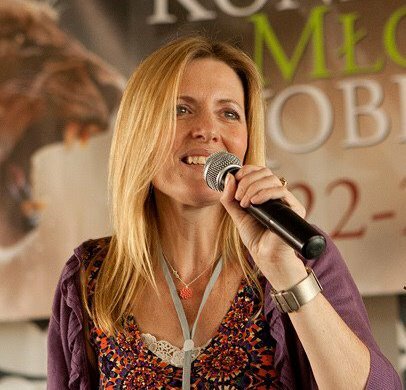 Her most recent albums Father's House (2011) and Warrior Bride (2013) launched her into the arena of prophetic worship. '"Eight tracks that refresh the soul... the album is a delight... all in all, this album is a terrific listen"
Recorded in 2013, this album of Julie's heartfelt worship songs (and one by Wytze Valkema) has a powerful anointing from start to finish. Drawing from folk, Celtic and rock styles and featuring guest appearances from Dave Bainbridge (lead guitar) and Corrinne Frost (cello), this is an album that will draw you into the presence of God where you will long to stay! "On this, her fifth release, Julie ministers beautifully in song with eight tracks that refresh the soul. The opening "Through The Doorway" leads the listener to explore the intimacy in worship that Julie brings to the fore. With her superb violin accompaniment which is added to by a varied array of instruments including Dave Bainbridge's bouzouki, the album is a delight. "The Day Of The Bride And Her Bridegroom" is catchy with is upbeat Celtic folk arrangement. The title track could almost be an Iona cut with Dave Bainbridge's guitar lifting the song and listener to respond to the call contained within the lyrics. this is Julie's first album of her own worship songs. "I began to explore worship as an expression rather than performance music. I called it 'Father's House' because I had this revelation, I felt God saying to me that everything I'd done up to that point had been out of my heart, which was a good thing because my heart was after him. I felt him saying, 'Everything you've done has been out of your own heart, but from this time on I want you to come into my house and do things from my house.' It was a revelation of being a daughter: he was showing me that I was part of the family. I suppose the natural response to that was to want to write my own lyrics. 'Father's House' was very important personally. It was very personal songs speaking of things I was discovering myself, for myself." 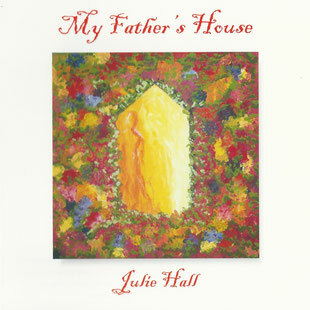 When Cross Rhythms interviewed Julie Hall from West Sussex in 2010 she had already won a glowing reputation singing the folk circuit, her albums 'Bluebells Rising' (2004), 'Days Of Wine' (2006) and 'Balcomb Bridge' (2009) all being critically acclaimed while her performances from the smallest of house concerts to a memorable gig before a crowd of 15,000 at the Baptist World Alliance all demonstrated the quality of her voice, deftly played guitar and violin playing. Little was Julie to know that in 2014 she would be teaming up - quite literally - with another singer/songwriter, this one from Northern Ireland. Tony: Julie, you were pursuing a career as a folk artist. You'd had some critical success, but critical success doesn't pay the bills? Julie: Or open terribly wide doors. But that was fine. I loved doing the 'Balcombe Bridge' album, and I actually quite liked being hidden, to be able to go into little places and connect with people. Tony: What kind of places? Folk clubs? Julie: Yeah. Churches. We do Folk By The Fire - even house concerts. Lots of places. Up until 2012, I had two lives - a life as a musician and a life married to David, who was a Baptist pastor. We were in pastoral ministry, and being the mum of three very lively kids who were growing up and becoming teenagers. My music was fitted in around so many things. I did a lot of small concerts - churches and festivals - and it was mainly just me. My voice, my fiddle, a guitar and a keyboard. I'd do unaccompanied fiddle things. It was before the era of loop pedals or backing tracks, so I'd do this spinning plate thing, and it would just be me. I was managing but always yearned for people to play music with. All my dreams seem to have come true lately. Tony: Tell me about 'Father's House'. 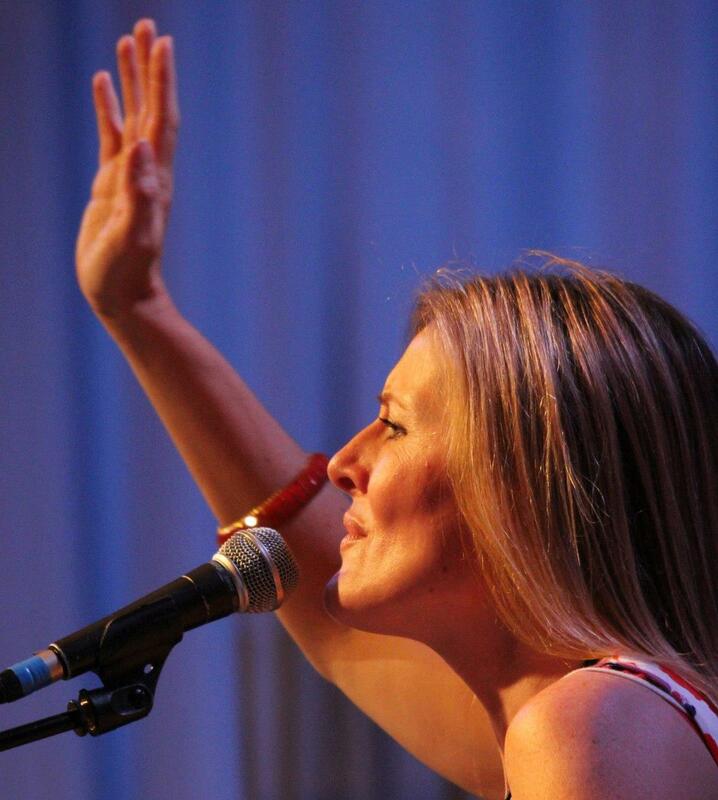 Julie: I released that in 2011, as I began to explore worship as an expression rather than performance music. It was someone else's lyrics as well - Robert's lyrics, which I did connect with, but they weren't coming from myself. I called it 'Father's House' because I had this revelation, I felt God saying to me that everything I'd done up to that point had been out of my heart, which was a good thing because my heart was after him. I felt him saying, 'Everything you've done has been out of your own heart, but from this time on I want you to come into my house and do things from my house.' It was a revelation of being a daughter: he was showing me that I was part of the family. It's a weird thing. You don't know that you are truly a daughter until you know it. You think you know it - it's the most basic thing in the Christian experience that we are sons and daughters - but if you don't really know it in your heart, you don't know that you don't know it. It's only when you come into that experience - Paul calls it the spirit of adoption in Romans. I came into this revelation of being a daughter, and I felt God saying, 'Everything you do now will come out of my house, not just out of your heart. It comes out of the experience of being a daughter.' I suppose the natural response to that was to want to write my own lyrics. I have now come back to other people's lyrics, and you begin to then gain more confidence in who you are and who you resonate with and what you resonate with. But at that time, 'Father's House' was very important personally. It was very personal songs speaking of things I was discovering myself, for myself. Little did I know, within a few weeks of that I would be bereaved - I became a widow - and it was at that time God took me so deep into his heart. His kindness was amazing. I began to discover in the hardest, most barren places, where everything seems hopeless and dead and painful, that's where God became the most real he's ever been. Out of that experience I began to express something of my heart that wasn't superficial, that wasn't wanting to fix everything straight away, that wasn't trying to find answers to everything right now but was sitting in the dust, and him sitting with me. 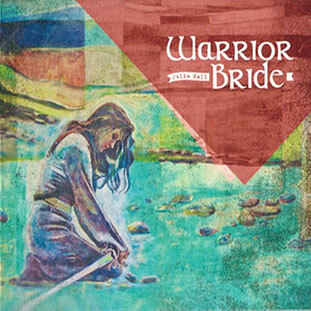 I wrote the songs on the album 'Warrior Bride'. That was actually the first time I wrote a rock song - not Celtic folk at all, a really full-on rock song. I rang David Bainbridge and said, 'The only person that can do a guitar solo on this song is you. Would you mind having a go?' He said, 'That would be so cool.' Interestingly, it was one of the things that began to connect me with Nigel. We had met as friends at a worship event in the same place in Poland. I was still married at the time. Nigel: I was there representing Ireland, you were representing England - we became the United Kingdom. Tony: When was 'Warrior Bride' released? Julie: 2013, the year after David died, and dedicated it to him. It was very much a response to having the rug pulled from under my feet, everything being taken away from me. I tell the story of being given this almond tree by my friend Jane, who lives in Jersey. She sent me an almond tree via the local garden centre just after David had died. What a weird thing to do. She said, 'I feel God wants you to know the almond tree will blossom again.' The day this tree arrived was the day a massive freeze arrived in Britain. I don't know if you remember 2012 - it was worse than the Beast from the East. The whole country froze solid for about three weeks, and we plunged into temperatures like minus 20 - record lows. This poor tree sat on my patio in its little plastic bag, totally dead as far as I could see. It was a twig, and it was never going to recover from this. It represented what my life looked like at that moment. I was out on a limb, completely on my own, this twig dying in the frozen depths of the temperatures it was experiencing. Eventually I dug it in, just to prove to myself it was dead and my life was ended. But the following year it began to live again. It really was part of my heart's story. Miraculously, the following year, when Nigel came, out of season when it shouldn't have been blossoming. Nigel: What happened was I proposed on February the 14th. Julie: The very next day the tree burst into blossom. I had sort of forgotten this promise from God. We went to see a friend that evening and she said, 'It's a very strange thing but I was praying for you this morning, and I felt God say to me, "The verse for you is Jeremiah 1:11."' I didn't know what that was, so I looked it up, and it was God speaking to Jeremiah. He said, 'Jeremiah, what do you see?' 'I see the branch of an almond tree.' What a story! God said, 'You've answered correctly.' He did this wordplay thing. In Hebrew, the word for 'almond' sounds exactly like 'watching over'. He says, 'I'm watching over my word to make sure it's accomplished. I'm watching over my promises to you to make sure they're accomplished.' So this story of the almond tree blossoming again was about God's faithfulness and his promises to me that he'd not gone away during that time. He was doing more than give me promises and saying, 'It's up to you to work them out.' Actually, 'I'm watching over these promises to make sure they're accomplished.' And Nigel is so much a part of that. There is a growing interest in folk-orientated singers of every type so it's only appropriate that such interest is extending to Burgess Hill-based singer Julie Hall, who has now managed to release three critically acclaimed albums - 'Bluebells Rising' (2004), 'Days Of Wine' (2006) and 'Balcombe Bridge' (2009). Recently Cross Rhythms caught up with the singer and began by asking her about her background. "I was born in Birmingham into a musical family - my granddad was a percussionist and as a young man played for the silent movies! He'd have to follow a score and throw bricks into buckets of glass and play the xylophone during chase scenes! My brother, who is also a percussionist, has all his old instruments. I started to play the violin at the age of seven. My teacher was a member of the CBSO, and in those days there were spare seats at concerts and she'd get us free tickets. I grew up going to concerts almost every week, and got a job selling programmes as a teenager so I could sneak into the second half. So classical music was what I grew up on. But my brother was into bands like Genesis and YES, which I thought were fantastically cool. My parents were big jazz fans, so there was always lots of different music in the house and my introduction to folk music came through a live LP of Joan Baez, which I played repeatedly. I thought she had the most beautiful voice I'd ever heard." Julie became a Christian at the age of 18 through a Billy Graham crusade though intriguingly it wasn't an event she had actually attended! She explained, "My sister went, and went forward at the end to pray to become a Christian. She came home and explained what had been said. I remember thinking, 'Wow, I really hope that this is all true', and finding it was true. I went with her to Sutton Coldfield Baptist Church and the first person I encountered was a violinist in the CBSO. He is now a Baptist minister. Soon after I left for Manchester to study at the Royal Northern College of Music. There I encountered some fantastic Spirit-filled musicians who I still play and worship with. It was a wonderful time." From her early years Julie had gravitated towards folk music. She laughed, "I sometimes wonder if it is simply in my blood. My granddad would always sing in a gravelly, wavery old voice to us at family parties, usually a song with a story and a moral at the end! I love songs that tell stories, and think we need to tell more of our important stories through song. In the Bible, many important events were marked with a song. We need to be doing the same in our time. That's what folk music is all about." It wasn't until 2004 that Julie began writing songs. She explained, "A good friend from church, Robert Eggleston, had written a play for Easter and asked me if I would write some songs to go between the scenes. I told him 'I don't write songs' and he asked me to try. So I asked God for some inspiration. Soon after I went to hear Martyn Joseph whose performance and songwriting so stirred me up that I wrote most of the songs for the play over the next few days! It was shortly after Easter that I received an email from Robert saying he had been inspired to write some lyrics. Within a few minutes the first song was written, and within a few months of that we were ready to record the first set of songs. It was done in a day, with me playing all the instruments. It was totally thrilling, and a bit scary, recording something of your very own. The title track of that first album is a ballad. It tells the story of the journey through grief, and the hope that is found at the end of that journey. Robert's sister Barbara had died shortly after that first Easter play, and the song came out of that. Another friend was scattering their mother's ashes at bluebell time, and that image of the beauty of the English bluebell wood reflected perfectly with the spirit in the song. I love singing it live, because someone always comes up to me at the end and says how it has helped them, or unlocked something for them in their own grief." 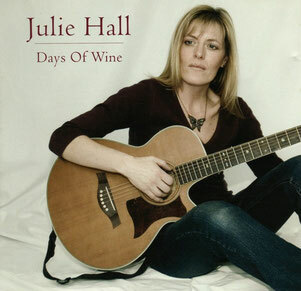 Julie's next album, 'Days Of Wine', was a somewhat more ambitious project. Explained the singer, "I asked Paul Lavender to produce it for me. Being in a studio for a week, with a bunch of great people, watching everyone create interesting sounds with your songs is an incredible experience. I had a throat infection though, but couldn't reschedule. So recording the vocal was a struggle for me. There is a lot of Paul's personality in that recording I think, and my memories of that week are incredibly special. I remember crying at the end of the week because I didn't want it to end." 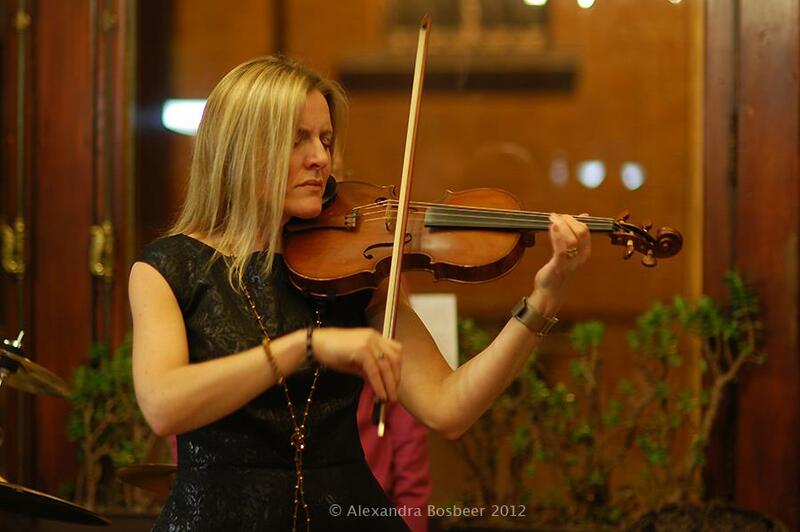 Through the years Julie has earned a living as a violin teacher though has taken every opportunity to perform her music in acoustic café or folk-type clubs or church events. Cross Rhythms asked Julie whether she ever had a chance to sing to her pupils during violin lessons. She responded, "I don't sing to my violin pupils, but I do run baby and toddler music classes so I have plenty of opportunity to sing to them. I love singing lullabies at the end of a session. There is something very precious in singing 'over' someone, singing something good into their life. That's why I included a lullaby on my latest recording, 'Balcombe Bridge'." Julie promotes Fair Trade and often does concerts for outreach evenings or suppers. She said, "I love the intimacy of smaller venues as I love to tell the stories behind the songs. As a violinist and worship leader, I play with a group called Epiphany. Many of the musicians were involved with a group called Wellspring, mainly based in Manchester. Epiphany plays experimental improvisations, in secular and Christian settings, seeking to share the presence of God through the music, and with them I've travelled to lots of different places, including Sweden last year. It's totally different to the solo stuff, and lovely to play with a large group. Epiphany can have about 12 musicians playing on any one event, and all of them are professional classical musicians." 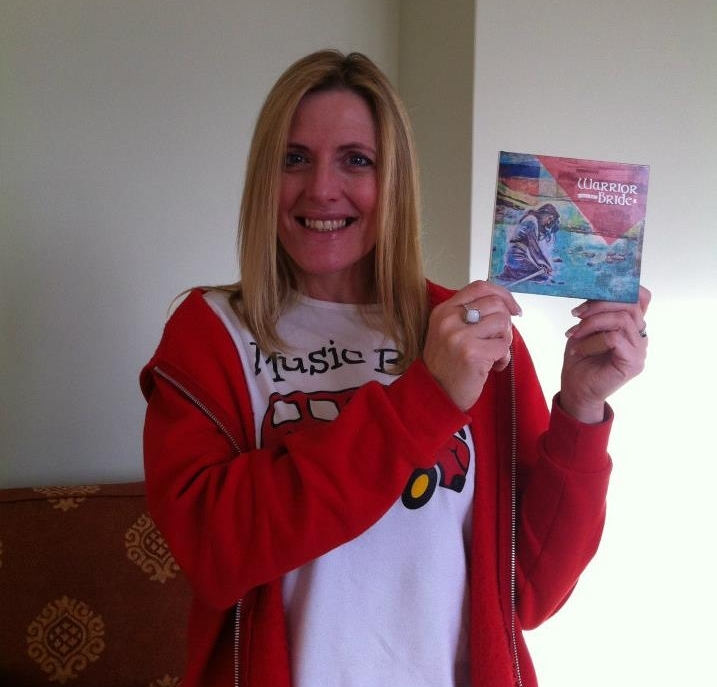 Julie's latest album 'Balcombe Bridge' was produced by Gareth Davies-Jones, the well known singer/songwriter. Julie explained how she had met up with Gareth. "I met Gareth when I sang at an acoustic cafe up in Northumberland that he was hosting. When I heard his exquisite guitar playing and beautiful songwriting I knew his sound would be perfect for my songs. We both promote Fair Trade through our music, and quite often play on the same bill when he comes down to the south east. Gareth is simply brilliant and I really love what he did with 'Balcombe Bridge'; of anything I've done before I feel that this latest recording really reflects my personality. Gareth's music really deserves a wide audience and I feel very privileged to have worked with him. I hope he will agree to record the next one with me too!" 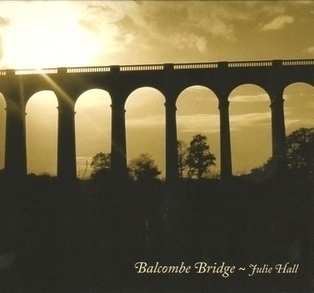 Julie spoke about 'Balcombe Bridge''s haunting title track. "It tells the story of a journey home from work, weary, despondent, asking 'where is God?' And suddenly, the sight of the beautiful viaduct (known by locals as Balcombe Bridge) across the valley bathed in sunlight brings the reminder of bigger, eternal things." 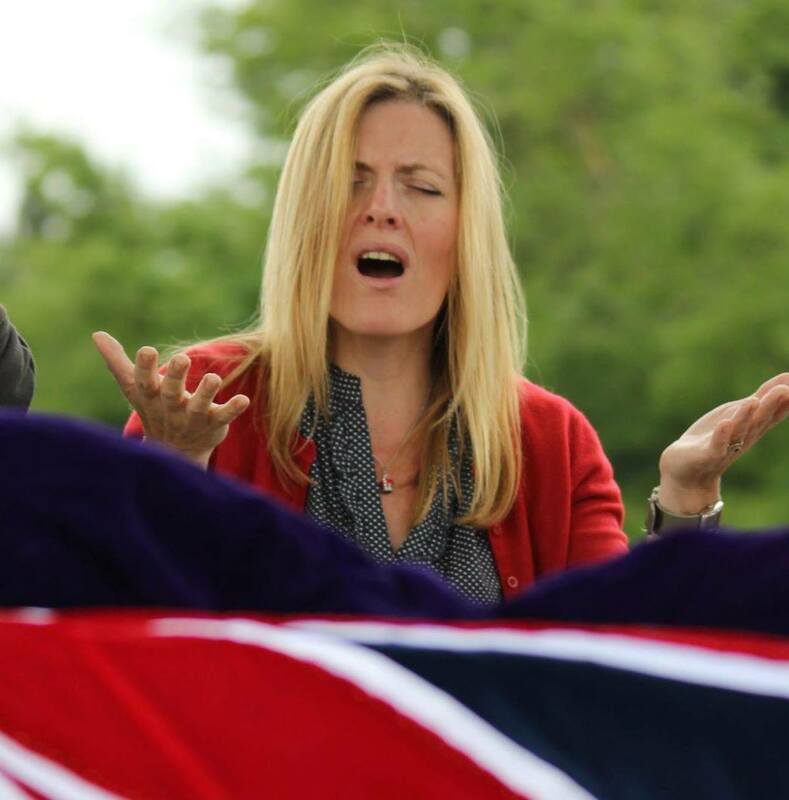 Julie's lyrics are normally written by Robert Eggleston. She spoke about her lyricist, "Robert Eggleston is a very gifted poet (his book As A Boy is available through Amazon) and without a doubt this makes a massive difference to his lyrics. His words are beautifully crafted and make the melody writing really easy. Robert also campaigns for justice issues and organises a Fair Trade and Freedom festival in our town each year. So he puts his money where his words are! He has been a great support and always seems to like what I have done to his lyrics, thankfully!" Of her many performances Julie finds it all but impossible to pinpoint her favourite engagement. She said, "To be truthful I have too many good memories to choose just one. From the tiny ladies meeting where I wept with an elderly lady after the concert as she asked me to pray for her, to the massive 15,000 Baptist World Alliance event in the National Indoor Arena (scary! ), to hearing my voice echo around the Santa Clara Cathedral in Stockholm. . . I think though my favourite gigs are when I get to meet other artists. I was privileged to support Martyn Carthy and Norma Waterson recently, and they were so interesting and sweet. I felt like I was listening to real legends. I adore singing live, packing up and travelling off, not quite sure who I will meet that day. I am incredibly grateful to God, because meeting new people is one of life's greatest joys and fascinations."